Hali called a couple weeks ago wanting to book a trip for some international friends to go out and catch some Stripers. I set him up with Guide Tony and that exactly what they did. 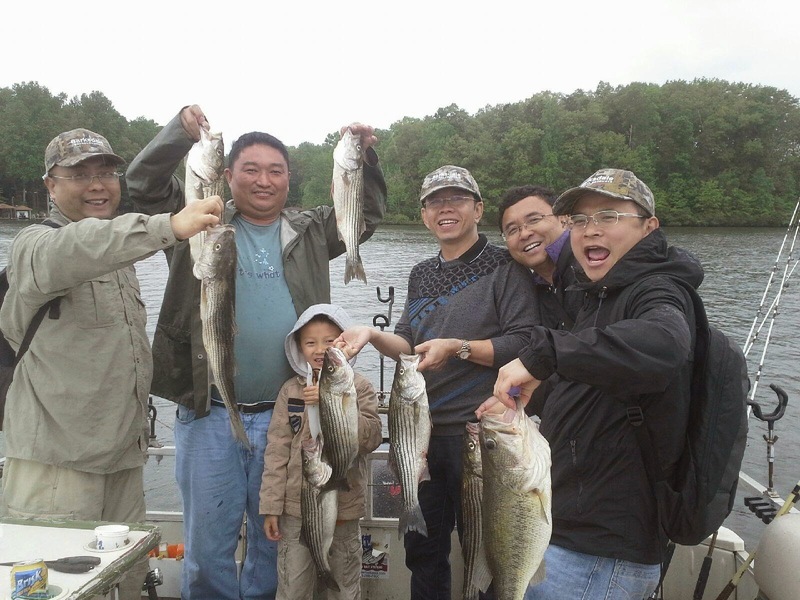 Come to find out his friends had never fished before so this was a special treat for all of them. Most of his guests flew in from China and one came from Singapore, arriving late last night. After catching about 20 Stripers they wanted to go catch a Bass so Tony obliged them with this nice Bass. This was a great first day visiting the USA.